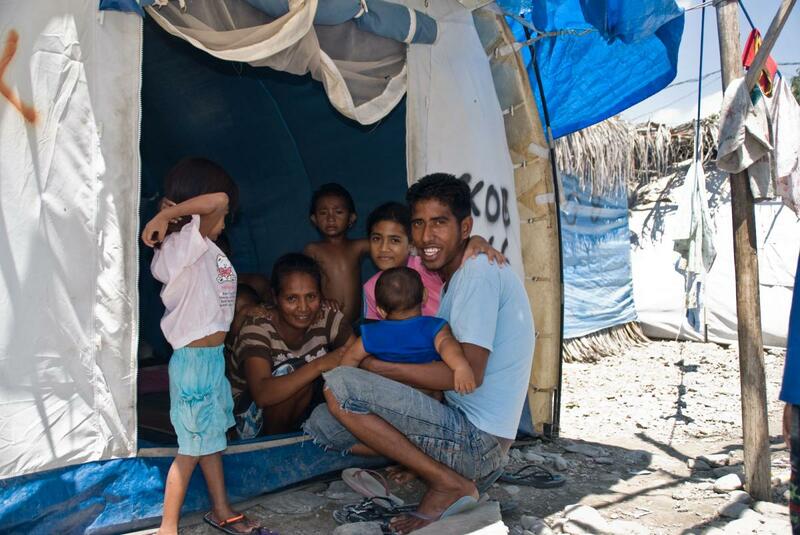 A scene from the camp for Internally Displaced Persons in Dili. Over 40,000 people still occupy camps like this. This young man, named August, took it on himself to give me a tour of the entire camp. He's pictured here with his family in the tent they've shared for nearly two years now.